"If you're already maxing out your retirement account, the best thing to do is to simply increase your paycheck deferrals slightly so that you continue to automatically max out your retirement account at these new, higher limits," says Meg Bartelt, a certified financial planner. Retirement savers will be able to contribute $500 more to 401(k)s and individual retirement accounts in 2019. Workers with slightly higher incomes will also qualify to contribute to Roth IRAs and claim the retirement saver’s tax credit. Here’s how the retirement account rules will change in 2019. The 2019 401(k) contribution limit. The contribution limit for 401(k)s, 403(b)s, most 457 plans and the federal government’s Thrift Savings Plan will increase from $18,500 in 2018 to $19,000 in 2019. “If you’re already maxing out your retirement account, the best thing to do is to simply increase your paycheck deferrals slightly so that you continue to automatically max out your retirement account at these new, higher limits,” says Meg Bartelt, a certified financial planner and president of Flow Financial Planning in Bellingham, Washington. “The $500 higher max allows you to get a bit more tax benefit on retirement savings.” Workers can defer paying income tax on approximately $42 more per month as a result of this change. The 401(k) catch-up contribution limit for employees age 50 and older is unchanged at $6,000. Older workers can contribute a maximum of $25,000 to 401(k) plans in 2019. The 2019 IRA contribution limit. The IRA contribution limit will also grow by $500 to $6,000 in 2019, the first increase in the limit since 2013. “The extra $500 invested will also compound over time making the additional contributions especially valuable for young folks,” says Ryan Cole, a certified financial planner for Citrine Capital in San Francisco. “For example, an extra $500 invested annually would amount to $100,000 in extra retirement savings (over 35 years), assuming just 8 percent returns in the retirement plan. The result is a much more comfortable retirement for those who choose to take advantage of the increase.” However, the IRA catch-up contribution limit for those age 50 and older is not subject to a cost-of-living adjustment and will remain $1,000. 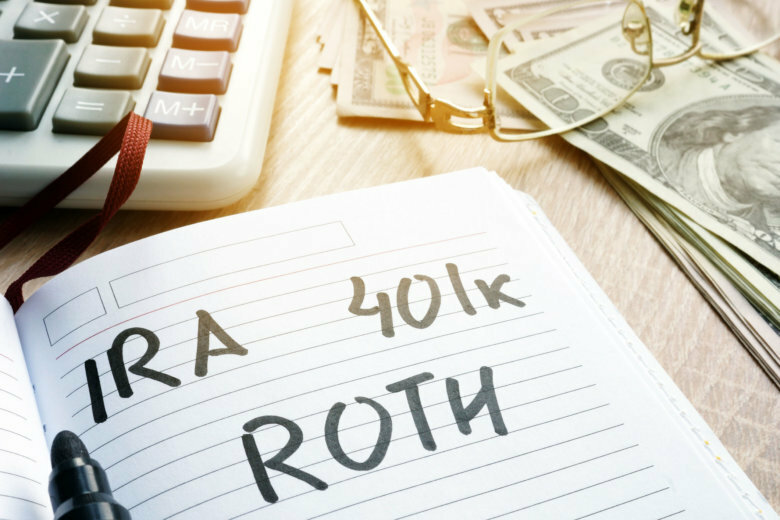 401(k) participants are prohibited from claiming a tax deduction for a 2019 IRA contribution if they earn more than $74,000 as an individual and $123,000 as a married couple filing jointly, up $1,000 and $2,000, respectively, from 2018. The tax deduction is phased out for individuals earning more than $64,000 and couples earning more than $103,000 in 2019. If only one member of a married couple is eligible for a 401(k) plan at work, the IRA tax deduction is phased out if the couple’s income is between $193,000 and $203,000 in 2019, up $4,000 from the previous year. The 2019 saver’s credit income limits. Low and moderate income retirement savers can earn between $500 and $1000 more and still qualify for the saver’s credit. This tax credit is worth between 10 and 50 percent of 401(k) and IRA contributions up to $2,000 for individuals and $4,000 for couples. The income limit for the saver’s credit will increase to $32,000 for individuals, $48,000 for heads of household and $64,000 for married couples in 2019. Retirement savers with the lowest incomes are eligible for the biggest tax credit, which could be worth as much as $1,000 for individuals and $2,000 for couples. The saver’s credit can be claimed in addition to the tax deduction for saving in a traditional retirement account.